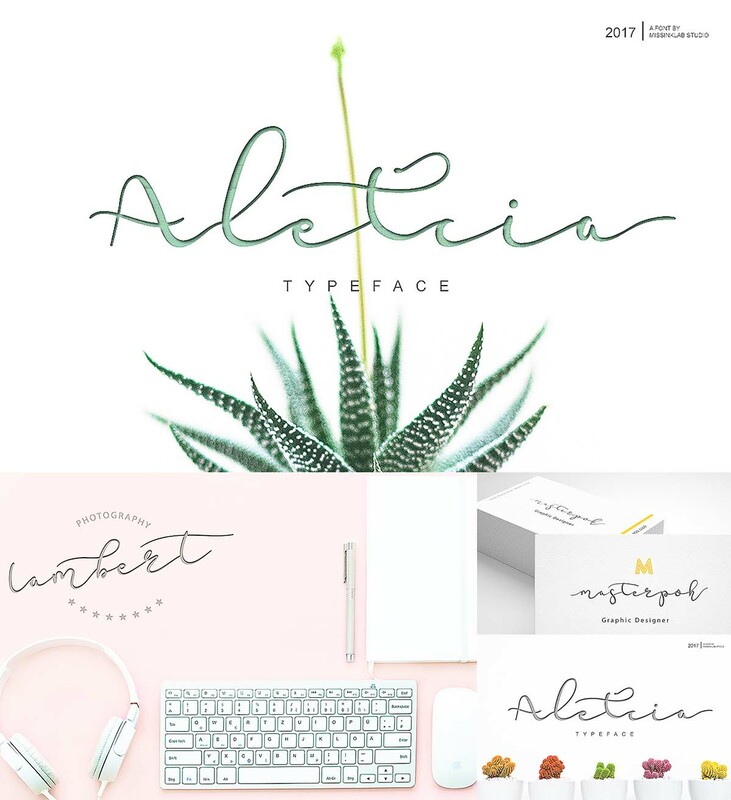 Aletcia is beautiful script font. With modern script style this font will perfect for many different projects, such as: quotes, blog header, poster, wedding, branding, logo, fashion, apparel, letter, invitation, stationery, etc. Tags: cursive font, eleganr font, handwritting, script, script font, signature font, typeface, wedding font.